You had to wonder how bad it could get for Rafael Nadal after dropping to No. 10 in the world following his disappointing quarterfinal loss at last month’s French Open. Not only had his 39-match winning streak at Roland Garros been snapped, but the Spaniard was now sitting at his lowest ranking in a decade. As a result, he couldn’t afford to put on a terrible showing at this year’s Wimbledon. After all, the mind can only handle so much disappointment. Unfortunately, following a second-round defeat at the All England Club, it’s clear the 29-year-old is in need of some serious soul searching. In what’s arguably the biggest upset of the 2015 Wimbledon so far, the 102nd-rank qualifier Dustin Brown took it to the 14-time Grand Slam winner, on his way to a 7-5, 3-6, 6-4, 6-4 victory. 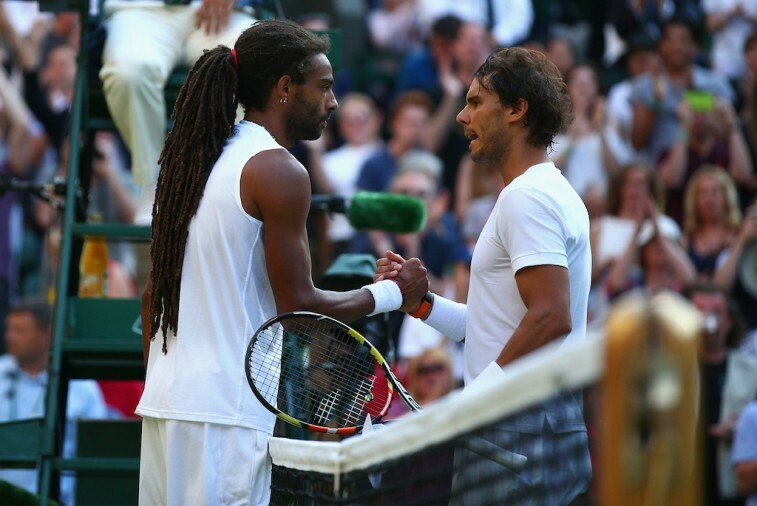 Nadal simply had no answer for the 30-year-old German — with Jamaican heritage — who serve-and-volleyed his way to a win in his first-ever appearance on Centre Court. Oddly enough, this isn’t Brown’s first time defeating Nadal on grass — he proved victorious 6-4, 6-1 in Halle, Germany last year. Perhaps that’s why he wasn’t as rattled as most would’ve expected. If you’re hoping to beat Nadal, then going for broke is a strong tactic. As Brown stated, he had nothing to lose. However, on the other side of the net was a man who’s won this tournament twice before, but is clearly struggling to regain his form. In light of this latest disappointment, we have to believe that the best thing for Nadal’s mind, body, spirit, and professional future, would be to take some time away from the sport. If getting upset at this year’s Wimbledon was an isolated event, then maybe our opinion on the matter would be different. However, since winning the event back in 2010 and then losing in the finals the following year to World No.1 Novak Djokovic, this is the fourth consecutive Wimbledon that Nadal has been bested by a player ranked No. 100 or worse. If you couple this piece of information with his lackluster showing at the French Open, it would appear that Rafa’s head is not entirely in the game. What’s even worse, is how prepared he felt coming into the tournament. But that’s the thing about a sport like tennis, sometimes the ball simply doesn’t bounce your way. However, when it starts to become a consistent thing, then perhaps it becomes necessary to reevaluate how you got to this point. 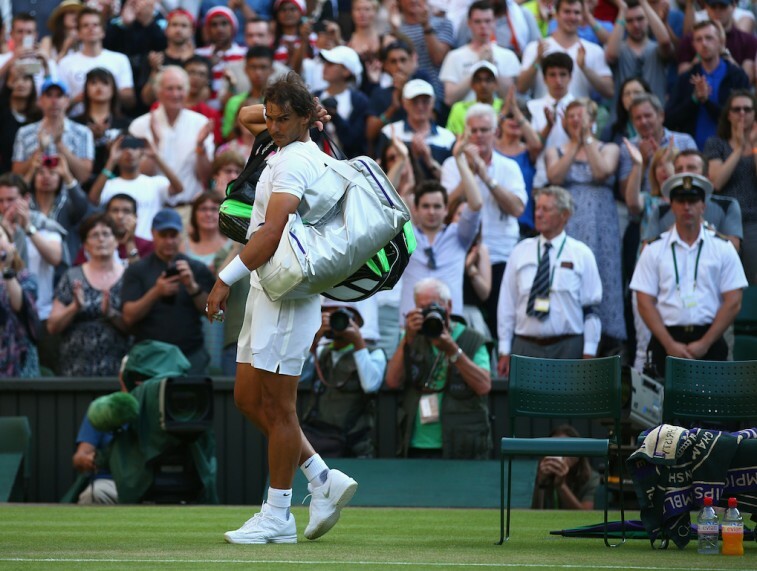 Yet, even with his recent disappointment at the All England Club, Nadal showed grace in defeat and proved, once again, why he is among the classiest tennis players in the world. That’s what makes a loss like this so difficult to bear. 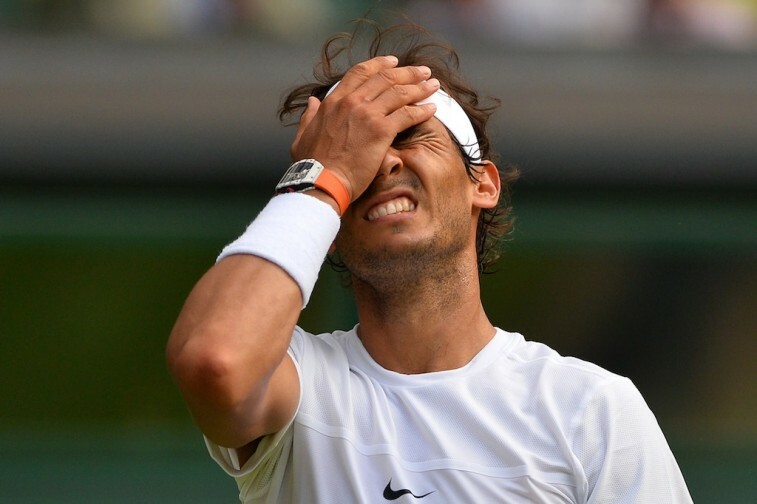 We hate to see guy of Nadal’s impeccable character stumble. The sport needs players like him; and it needs them to be at their very best. That is not the case at the moment. Which is why some time off could probably do wonders for both Nadal’s physical and mental game. Men’s tennis is at it’s very best when the top players on the tour are each playing at a high level. While it’s fair to suggest that Djokovic has separated himself from the rest of the pack, today’s game is defined by such beautiful parity in the sport at the moment that even the more minor tournaments become must-watch events. However, with Nadal now situated at No. 10 in the world and his confidence clearly shaken, this is not the time for him to force the issue and try to play through this current rough patch. This the time for him to get his head right and come back better than ever. At least the 14-time Slam winner knows something has to change. Nadal’s resilience and aggressive style are two things that have made him such a great champion. Yet, they are also traits that tend to take the heaviest toll on the Spaniard. Briefly stepping away from the game doesn’t mean his career is over, it means he recognizes thats his body and mind could use a rest. If Nadal is seriously interested in changing his current dynamic, we can’t think of a better place to start than away from it all. All statistics are courtesy of ESPN.go.com and ATP World Tour.